An astronaut, a paleontologist and a blonde were riding bikes around New York City: it sounds the familiar set-up for a classic joke. On Sunday, however, as I pedaled around Manhattan with the Explorers Club -- a historic society of adventure and science enthusiasts -- I couldn't come up with a punch line. An astronaut, a paleontologist and a blonde were riding bikes around New York City: it sounds the familiar set-up for a classic joke. On Sunday, however, as I pedaled around Manhattan with the Explorers Club -- a historic society of adventure and science enthusiasts -- I couldn't come up with a punch line. I merely snickered at myself as the 82 year-old club president Alan Nichols effortlessly passed me while I walked my bike up a hill and struggled to catch my breath. The club's diverse membership -- from deep water divers to arctic hikers -- has accomplished a great number of records in its 108 years of existence: first to the North and South Poles, first to the bottom of the ocean, first to the peak of Everest. This list of firsts includes feats by president Nichols, a sacred mountain expert who is familiar with long, two-wheeled treks. He was the first person to bike the entire Silk Road 10,300 miles from Istanbul, Turkey to Xian, China. On that adventure, he passed through Iran, Turkmenistan, Uzbekistan, Tajikistan, Kyrgyzstan and Kazakhstan; he has also biked through the Himalayan Mountains and across Tibet. 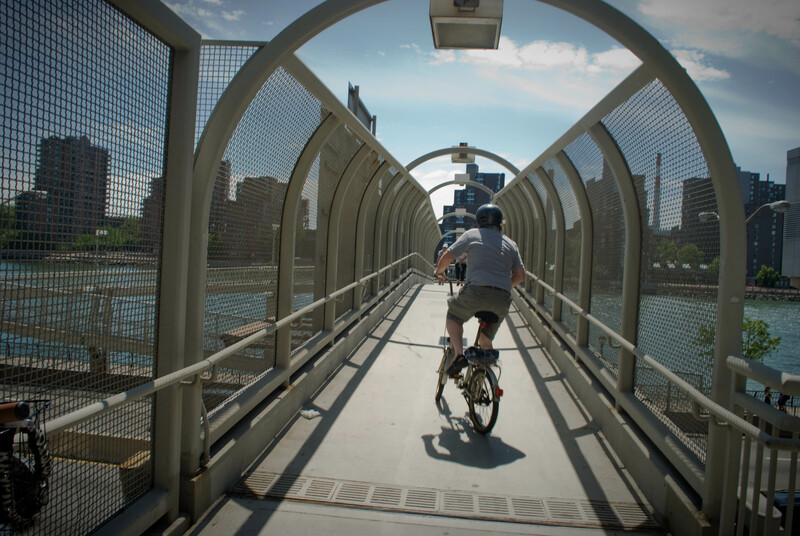 Over the weekend, Nichols invited me along on the Explorers Club's first annual circumambulation of Manhattan -- an approximately 32-mile bike ride tracing the island's perimeter beginning and ending at the EC headquarters on 70th Street. Nichols said the mission was not only to explore the far reaches of Manhattan but also to honor the headquarters in the same way Buddhists would Mt. Kailash in Tibet. "Nowadays, we modern cultures think the way you honor a mountain is to climb it and be on the top like Everest, but that's completely non-traditional," Nichols said. "The way you really do it, is you go around it. So, we're going to circulate our temple." On a rare day of perfect NYC spring weather, there would be in our future a series of dead ends, wrong way turns and a testament of will: who would make it to the end of the trek? We set out from the headquarters around 10 a.m. heading east toward the Upper East Side Greenway entrance at 71st Street. Cruising along the East River past Roosevelt Island and a series of parks, we navigated the scenic and well-paved path, but around 90th Street things began to fall apart: sinkholes dominated the central lane, and then the trail disappeared as we ventured into "proposed path" territory. Forced to face the trepidations of New York City traffic, we merged west through Harlem passing soul food diners and Gospel cathedrals that overflowed with women in elaborate, colorful hats. One man who stood on the corner in a brilliant red suit sold gospel CDs. Beyond Spanish Harlem, northern areas approaching the Bronx felt Latino with advertisements and street signs in Spanish, the rhythm of reggeaton music thumping and restaurants serving up South American cuisine. Heading up Malcom X Boulevard and over to Edgecombe Avenue the spiritual light of Harlem's church district dissipated and eventually became a dark, industrial graveyard around 200th Street. It felt like Manhattan's overlooked shadow where trash trucks line up under an overpass and sanitation centers became prolific. We ventured off the path to explore a vacant spot on the map hoping to find Shangri-La. "There used to be blanks on the map in Mongolia and Tibet, and then explorers used to go up there and fill them in," Nichols said earlier before departing the headquarters. " So, we're going to try and see what's there." The blank spot along the Harlem River turned out to be an MTA subway train lot surrounded by junkyards. Nichols marked the map. We returned to charted territory approaching the northern-most tip of Manhattan at Broadway Bridge. As we stood together looking back on how far we had come, tufts of white pollen drifted about thick as falling snow. So far away from the Beaux-Arts edifices of inner Manhattan, we peered out at the Bronx across the river wondering what the West would hold. "You made it!" Nichols hollered. "You made it to the top." My thighs ached. My stomach growled. Fatigue set in. No stopping: Nichols ushered me onward as he did throughout the day. 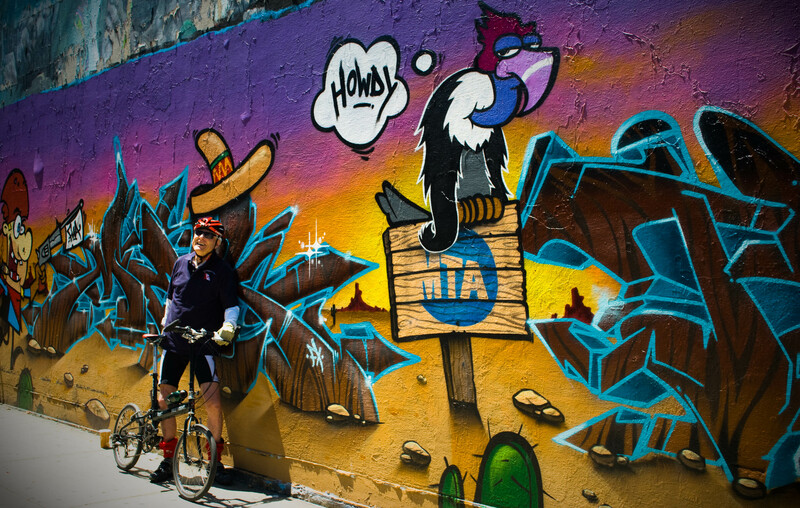 Down 218th Street and over to Inwood Park, the urban jungle became a natural forest. Here, you can feel in the silence an unspoken permission to breathe. We rode about in search of the highest, northern-most point hidden away in a small clearing of trees that a ranger pointed out. The actual highest natural point in all of Manhattan is in Bennett Park at 183rd Street. At 265 feet above sea level, this location was also George Washington's Revolutionary War camp: Fort Washington. Continuing south, the Hudson River Greenway flows uninterrupted along the coast to Battery Park at the southern end of Manhattan. That day, the echo of helicopter blades chopped through the silence along the riverbanks of the George Washington Bridge. As we rolled underneath the bridge, we confronted a barrage of police cars and fire trucks that wailed as officers looked over the waters. We could only assume what had happened. Though gripped by the urgency of red flashing lights, we moved on, pushing forward despite the suddenly sullen atmosphere and we continued south with the setting sun to the west. By the time we reached 60th Street at 5 p.m., we had biked nearly 18 miles. As Nichols explained, explorer Robert Peary claimed to be the first to the North Pole, but no one really knows for sure whether or not he actually arrived. So, when people ask me whether or not I circumvented the entirety of Manhattan I may be inclined to say yes because who else would know? Truth: Nichols got the best of me, as he did almost everyone else on the ride that day. We started out with seven explorers and by nightfall, only he and one other rider made it all the way around. "The Chinese say the most important thing about a 1,000 li journey is the first li," Nichols said. While I didn't complete the perimeter, the most important decision I made that day was at least to try. Next time, perhaps, I'll be able to keep up. 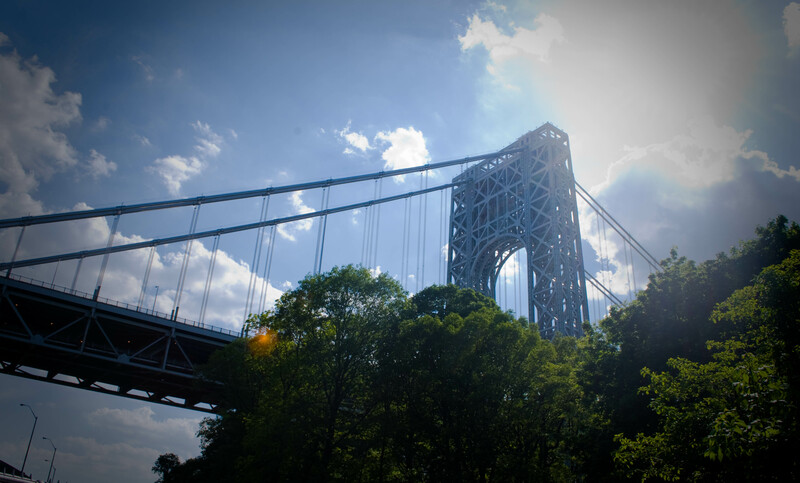 Afternoon at George Washington Bridge.